Can you imagine an App that allows you to measure your feet and receive precise size and fit recommendations to buy shoes online anywhere at anytime, share and surprise your family and friends and even order taylor-made shoes just for you? This is Feet IT®, a Portuguese startup that developed an innovative App launched on March 30th with the objective of revolutionizing the world of online shoe shopping. With the Feet IT® App you can buy online those wonderful boots or running sneakers you needed to buy but didn’t find in any local shoe shop, and just order them online without the fear of having to return them due to incorrect size or improper fit. Why? Because Feet IT® will give you the most accurate recommendation regarding the size and fit of any shoe, comparing how the numbers and models available will match your feet so that you can buy any shoe with confidence. “We know time is precious and most people can’t afford to take the risk of ordering something online, juts to return the item later because it doesn’t fit properly. 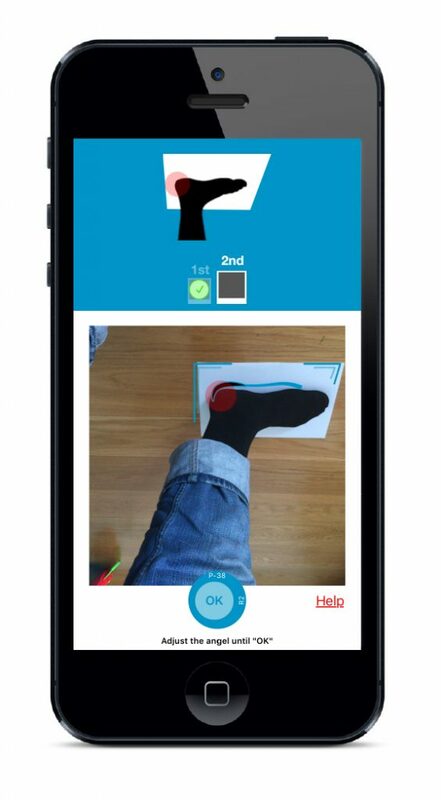 That’s why we developed this innovative App, based on an algorithm that can recommend you the right size for each foot” says André Garcês, Co-founder and project manager. So, how does it work exactly? Just download the App for free on Apple Store (it will be available soon for Android) and start by creating your profile. Then, by taking two photos of each foot, all the characteristics and dimensions will be extracted and you’ll have your foot measurement which will be used to complete your Foot ID. You can also add your family and friends Foot ID’s and you will be able to surprise them with a beautiful pair of shoes. We believe the process is simple, but the users must follow the instructions to guarantee the highest accuracy possible (the algorithm works with a margin of error of no more than 3mm). “Our first responsibility is with our clients. Since we launched the App, all the development team has been fully focused on optimizing the system according to users feedback.” adds Miguel Araújo, co-founder and IT developer. For those who appreciate discounts, news and prizes, there is also a CREDITS section, where the users will take part of an exclusive club with promotions, unique offers, access to first line updates or new shoe models, brands or stylists launches. But there’s more… if you ever wanted to create your own pair of shoes, totally customized and personalized for you, you can do it too! With preferential conditions and discounts.